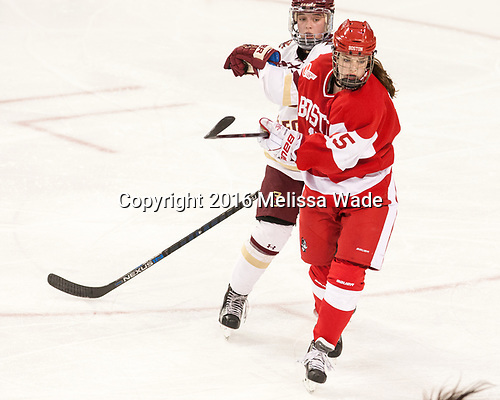 Caroline Ross (BC - 25), Mary Parker (BU - 15) - The Boston College Eagles defeated the visiting Boston University Terriers 5-3 (EN) on Friday, November 4, 2016, at Kelley Rink in Conte Forum in Chestnut Hill, Massachusetts.The Boston College Eagles defeated the visiting Boston University Terriers 5-3 (EN) on Friday, November 4, 2016, at Kelley Rink in Conte Forum in Chestnut Hill, Massachusetts. © HockeyPhotography.com |CONTACT |Questions? Email me. Discount information.